Welcome to Dental Designs of Bountiful, located in Bountiful, Utah! Dr. David L. Duke, our skilled dentist, is committed to providing you and each member of your family with individualized, high-quality dental care. We offer comprehensive dentistry, including orthodontics, cosmetic dentistry, family dentistry, and implant dentistry. From braces and Invisalign® to dental implants and same-day crowns, we are here to meet all of your dental needs. Our dental team works hard to ensure that your visit at our office is comfortable and pleasant. We offer warm blankets, lip balm, water bottles, and iPads in each treatment room to make your dental experience more enjoyable. Our dental team is friendly, helpful, and knowledgeable, and we are always happy to go the extra mile to assist you and make your visit run smoothly. To further enhance your dental care, we are pleased to utilize the latest in advanced dental technology at Dental Designs of Bountiful. We use digital X-rays, E4D same-day crowns, and computer-customized braces to make certain that you receive the highest level of dentistry. Dr. Duke and our team regularly attend continuing education courses to stay abreast of the most recent updates in dental technology and techniques. For over 10 years, our caring dentists and dental team have proudly provided excellent dentistry in Bountiful, Utah, and the nearby areas of Farmington, North Salt Lake, Woods Cross, West Bountiful, and Centerville, Utah. We welcome you to call or visit us today to learn more about us and to schedule your personalized visit with our dentists. We look forward to caring for your smile! Dr. David L. Duke loves practicing dentistry and has been helping people enhance their lives by giving them award-winning smiles, as well as a healthy mouth. He is highly committed to continuing education, and has attended courses from the American Dental Association, California Dental Association, American Academy of Cosmetic Dentistry, and the world-renowned Las Vegas Institute for Advanced Dental Studies to keep up on the latest advancements in aesthetic and reconstructive dentistry. Dr. David L. Duke is a graduate of Emory University School of Dentistry in Atlanta, GA. He earned his Bachelor of Science from Brigham Young University. He is a member of the American Academy of Cosmetic Dentists. Cosmetic dentistry is one of Dr. David L. Duke’s favorite interests and he enjoys using it for the benefit of his patients. He was the first dentist in Northern California to use an intraoral camera in dentistry, and as a member on the Board of Directors of a leading intraoral camera company, he was instrumental in its design. Using leading-edge technology such as the intraoral camera, digital radiography, soft tissue and diagnostic lasers, and advanced computer software has allowed him to provide the best care for his patients in a progressive, comfortable setting. 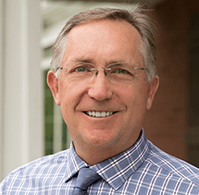 Dr. Robert Albertelli earned a bachelor’s degree in management from Brigham Young University, then went on to the University of Southern California, where he graduated with his Doctorate of Dental Surgery in 1999. While he has been practicing dentistry for over 10 years, he continues to advance his knowledge in the dental field by taking continuing education courses and seminars several times every year. Dr. Albertelli is a member of the American Dental Association, and he has received advanced treatment in dental implants and has completed a two-year, post-grad course in orthodontics. He is excited to turn all his efforts to focus on orthodontics as a means to improve his patients’ lives. Dr. Albertelli has five children – two girls and three boys. When he isn’t working to improve your smile, he enjoys all sports and being outdoors, whether it’s skiing, biking, or hiking. Shelly has been working as a dental hygienist for 22 years. She loves yoga, working out, and all things healthy. But above all, she loves traveling south to St. George to be with her beautiful grandchildren! Denise is the office manager at Dental Designs of Bountiful. She grew up in Layton and now lives in Woods Cross with her wonderful husband. Together they have a daughter, two sons, and a new son-in-law. She feels the best part about working at the office is getting to know the patients and their families. She feels honored to work with such a caring, professional, and dedicated doctor and team members. Tara has been in the dental field 20 years and practiced hygiene for 16 years. She loves to sing and has a beautiful voice! Tara has one handsome son and two beautiful daughters and loves to spend as much time with her family as possible! Lindsay is our Marketing Director and loves working at Dental Designs of Bountiful. She is married to an Aussie and has two beautiful girls and one baby boy who she is crazy for. Andrea has been working in the dental field for over 20 years. In her spare time, she loves her volunteer job at the Eccles theater, and dressing up as a villain with Magical Celebrations character company. Kenzie is new to the Dental Designs team and has been a great fit! Kenzie loves camping, traveling and spending time with her family, especially cuddles with her baby girl! Kendra has been part of the Dental Designs team for close to 2 years now. She loves travel and adventure, but time spent with her husband and two beautiful children is her absolute favorite!